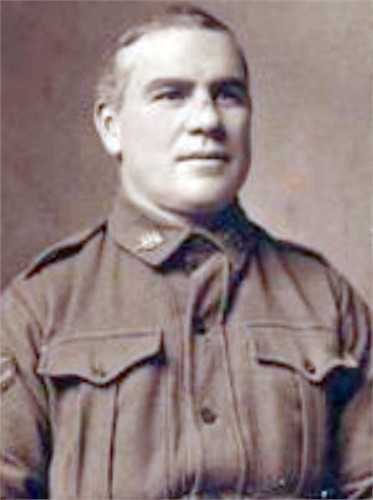 Percival Addison (Service No 813) was born at Tenterfield, NSW, and enlisted in the AIF at Liverpool, NSW, on 2 March 1915, when he was 40 years of age. When he enlisted he was working as a Clerk of Petty Session, was married to Evelyn Ethel Addison, and living at 'Weston' Terralong Street, Kiama, NSW. Percy embarked from Sydney with C Company, 17th Battalion on 12 May, 1915, on board HMAT A32 Themistocles. During his service Percy was promoted a number of times: Lance Corporal on 12 December 1915, Corporal on 15 October 1916, Sergeant on 1 December 1 December 1916. Having been hospitalised due to illness a number of times, Percy was finally returned to Australia for early discharge, due to chronic rheumatism. During his trip home per HMAT A34 Persic, Percy was appointed Canteen Sergeant. He arrived back in Australia on 21 December 1917, and formally discharged from the AIF on 22 March 1918.